Aaron Ramsey has decided on the team he would like to join after his contract at Arsenal expires in the summer, Ramsey has interest from some of Europe’s biggest clubs. According to a report from The Sunvia Calciomercato, Ramsey would like to join Italian giants Juventus when his contract at Arsenal expires in the summer. 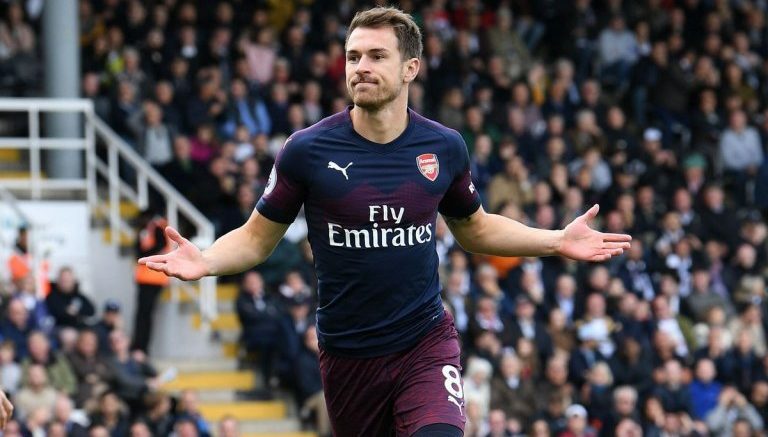 Ramsey has attracted interest from some of Europe’s biggest clubs since Sky Sports reported that Arsenal wouldn’t be offering the midfielder a new contract. As well as Juventus, the likes of Paris Saint-Germain and Inter Milan have all been linked with the Welshman’s signing. The best option for Ramsey appears to be a move to the Bianconeri. Ramsey will also have the chance to lineup alongside superstars such as Cristiano Ronaldo and Paulo Dybala should he move to Juventus. Be the first to comment on "Sky Sports confirm Aaron Ramsey has chosen the club he will join after leaving Arsenal"